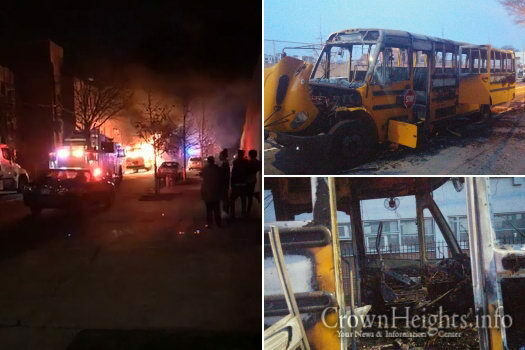 A yellow school bus was torched late Sunday night outside a public school in Crown Heights. 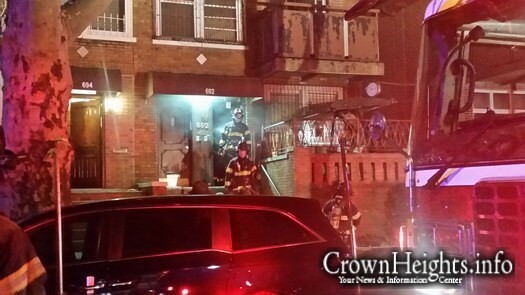 A fire tore through a 4th floor apartment in a building on Carroll Street in Crown Heights. 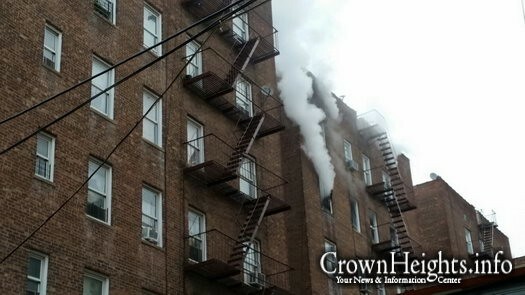 One firefighter was injured battling the blaze. 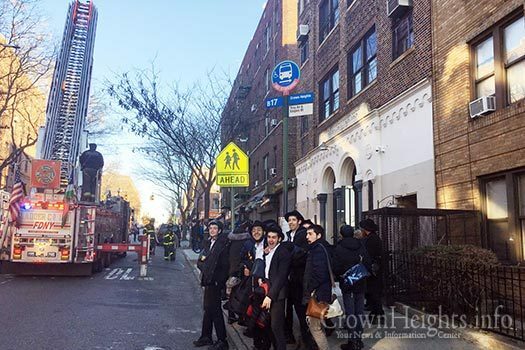 A fire broke out Friday morning in the basement of building which houses Oholei Torah Mesivta and forced the evacuation of the entire building, interrupting morning studies and prayers. 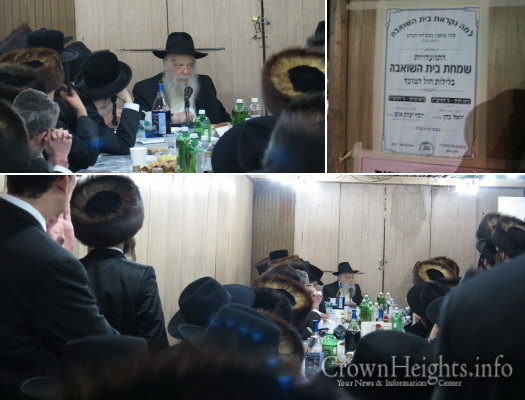 Reb Yoel Kahan, the Rebbe’s head Chozer, led a Simchas Beis Hashoeva Farbrengen last night in Boro Park, which was hosted by Heichal Menachem and attended by dozens of locals. 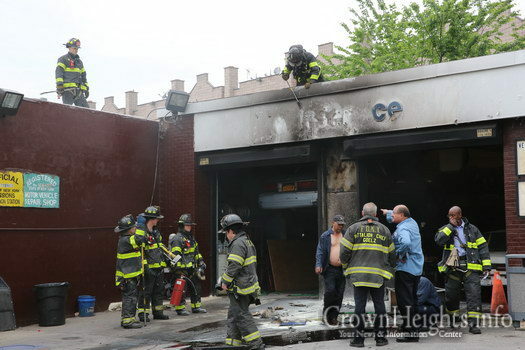 A fire broke out at the Mobile gas station on the corner of Empire Blvd. 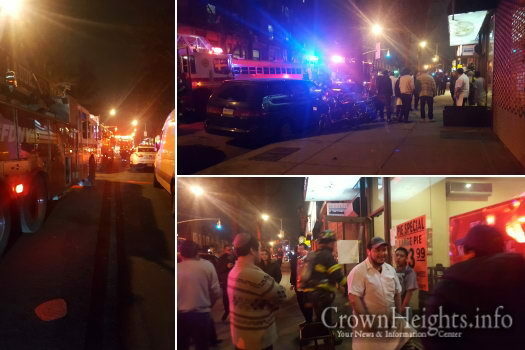 and New York Ave. in Crown Heights, injuring one of the workers employed there. 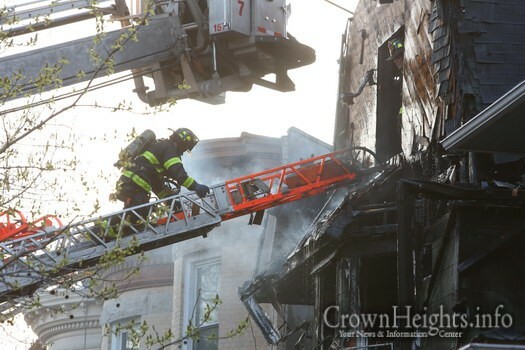 An elderly and disabled woman was killed when a fast moving fire tore through her home on Fenimore Street. 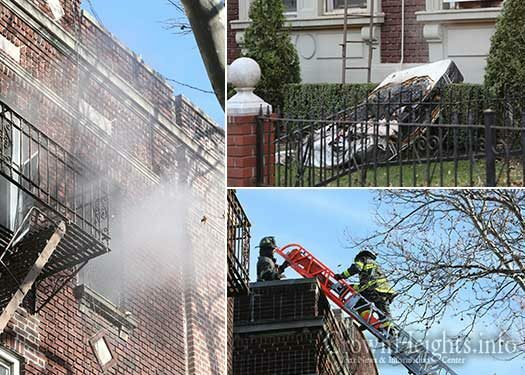 A Lefferts Avenue house, known by neighbors as a notorious drug den, went up in flames Tuesday night when a fire broke out on the first floor and quickly spread to the second floor. 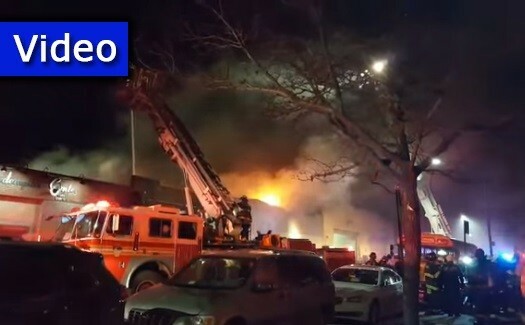 Three industrial kosher kitchens were completely destroyed in a five-alarm fire that swept through a warehouse for hours near Kings County Hospital south of Crown Heights. 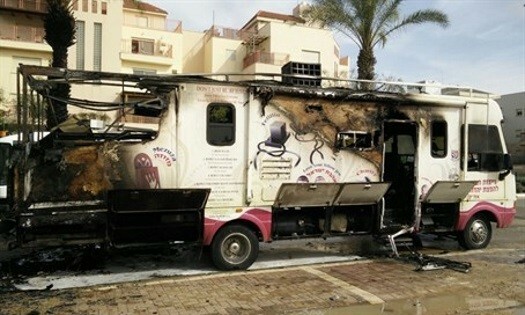 A Chabad ‘Mitzvah tank’ in Israel went up in flames during a public reading of the Megillah on Purim, but miraculously, all those inside escape unharmed. 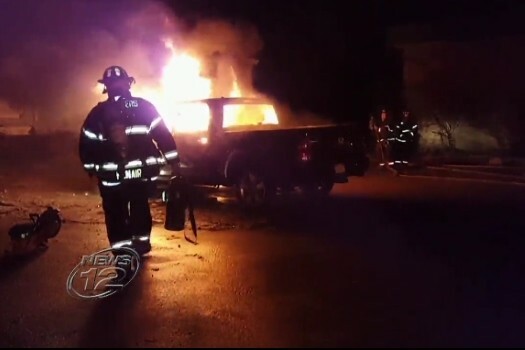 A pickup truck caught fire outside a Chabad Jewish community center in Yonkers, NY, last night. 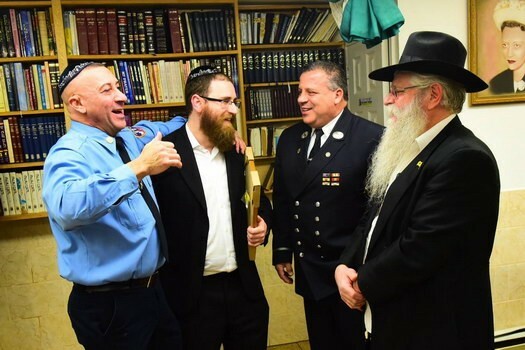 [Left to Right] Firefighter Joseph Scaramuzzino, Rabbi Zalman Feldman, firefighter Lieutenant Ralph Tufano and Rabbi Yehuda Friedman. Fourteen years after saving the life a Lubavitcher teenager from a burning house in Crown Heights, now retired firefighter Joseph Scaramuzzino realized that his time with the FDNY meant something. 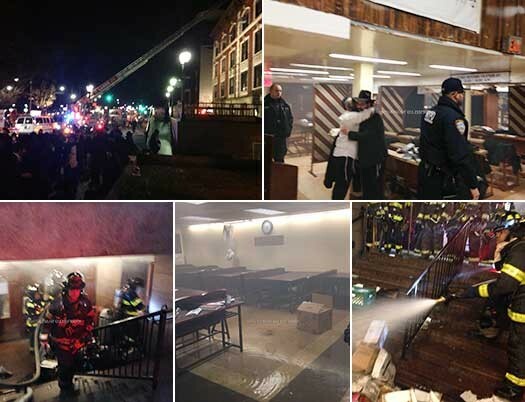 A fire broke out early Thursday morning inside the ‘Gabboims Closet’ in 770, causing panic amid a number of small Yud Shvat Farbrengens that were still going on at that early hour. Police rule out terrorism. 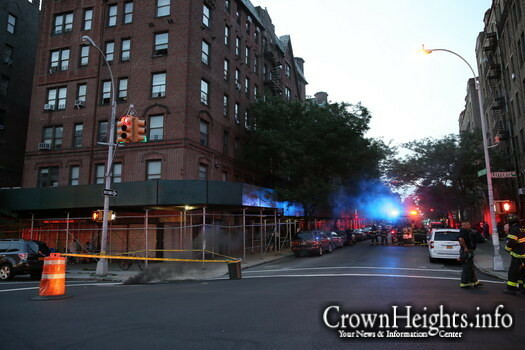 A fire broke out this morning on the 5th floor of a Crown Heights apartment building, located at 560 Lefferts Ave. near the corner of Kingston Ave.
A fire broke out Motzai Shabbos in the basement of a Montgomery Street home. 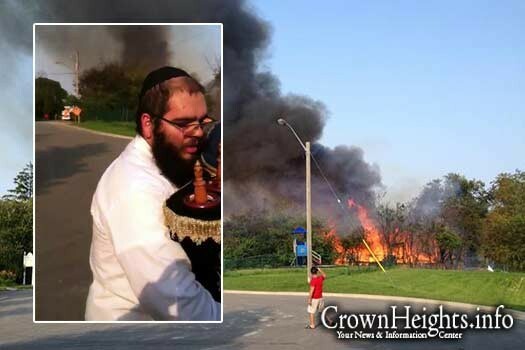 A neighbor said that it was likely caused by an unattended menorah. 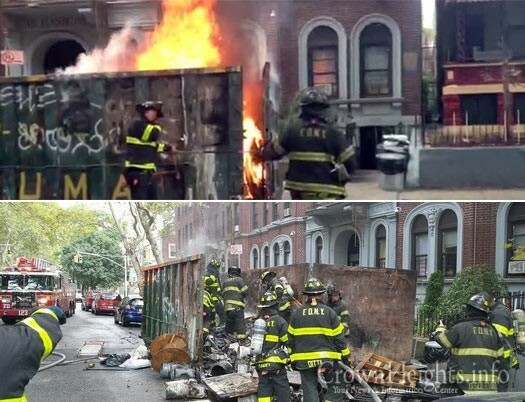 A dumpster filled with construction debris went up in flames Friday afternoon on Carroll Street near Albany Avenue. Firefighters arrived within minutes and put the blaze out. 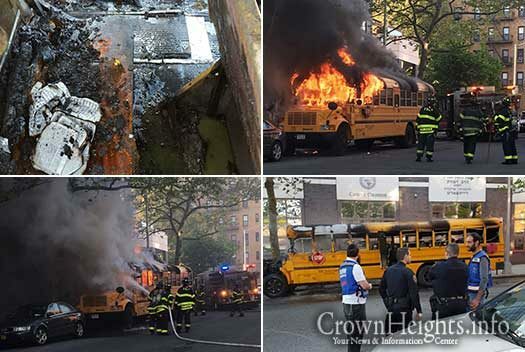 With the season’s first multi-day heat wave refusing to break, high electricity demand put a lot of stress on the system’s infrastructure, which caused manhole explosions all around Crown Heights. A massive blaze broke out in a Thornhill home that was under construction, sending plumes of thick black smoke that was visible for miles. 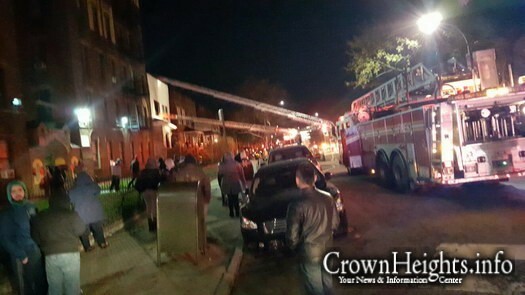 The fire was in close proximity to the Shmuel Zahavy Cheder Chabad, which was not damaged in the blaze. 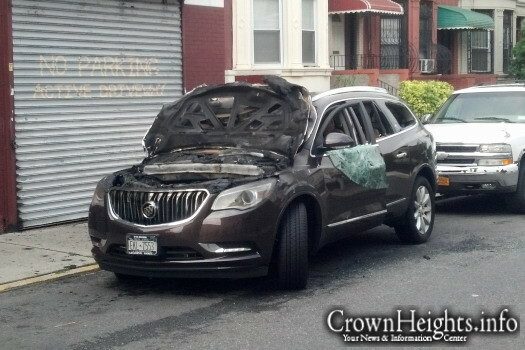 Last night, Tuesday, at around 10:00pm, a Jewish-owned car caught fire on Lincoln Place near Albany Ave. 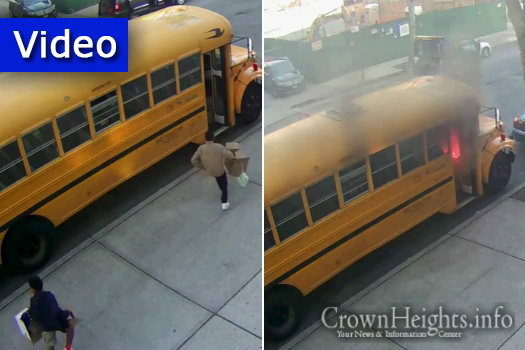 The driver escaped in the nick of time, seconds before the vehicle burst into flame. 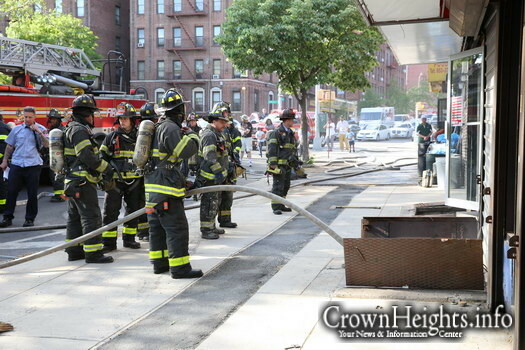 A fire broke out in the basement of a building right across from the park on Lefferts and Albany. Smoke poured out from the storefronts and basement entrances.